Taikoz and the SSO whip up a storm in the concert hall. Ian Cleworth shot brief, staccato fragments from the Japanese kanade-okedo drum into the dimly lit concert hall, the hard attacks left in the air to decay into silence. 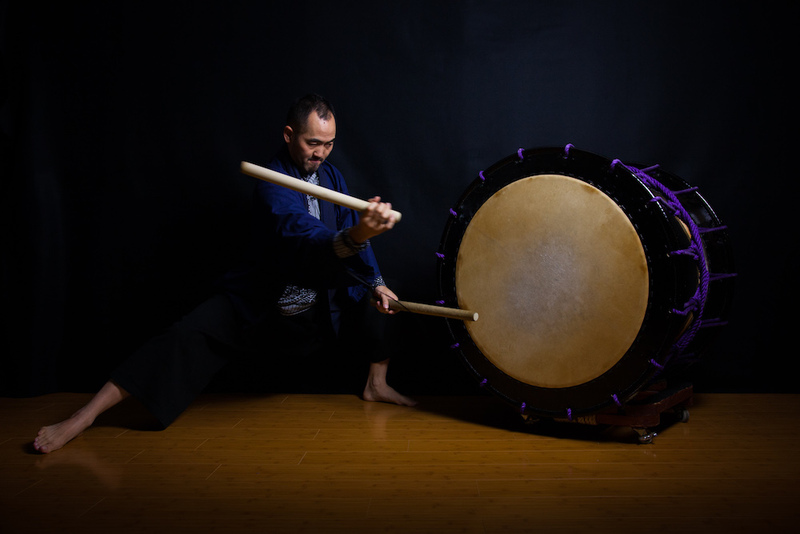 The Artistic Director and co-founder of Taikoz – who spent 20 years as Principal Percussion with the Sydney Symphony Orchestra – opened this collaboration between his old band and his new, Taikoz and the SSO, with his own composition Waves for solo kanade-okedo. Full of driving beats and pulsing polyrhythms playing out on either side of the drum (one side is higher in pitch, the other lower), Cleworth’s performance was a high-intensity primer for a concert exploring the concept of Ma, a word without a direct English equivalent that can mean “the space between tangible entities” or “space that forms part of the whole”. There was certainly a magic to the decay and silence between the sounds he wrought with the kanade-okedo, the attacks ricocheting off the walls and ceiling behind the audience. Guest artist Kaoru Watanabe’s two works on the programs opened with gentler textures but soon harnessed the might of the larger ensemble, the Taikoz players arrayed above and behind the orchestra, Filipino maestro Gerard Salonga (who first appeared with the SSO last year, conducting a concert starring his sister Lea Salonga) on the podium. Dreams saw harp and strings accompany singing Taikoz musicians, with Australian Riley Lee’s soft-edged shakuhachi sound floating above. Bells and drums punctuated the softer pastoral tones before driving taiko drumming took over. 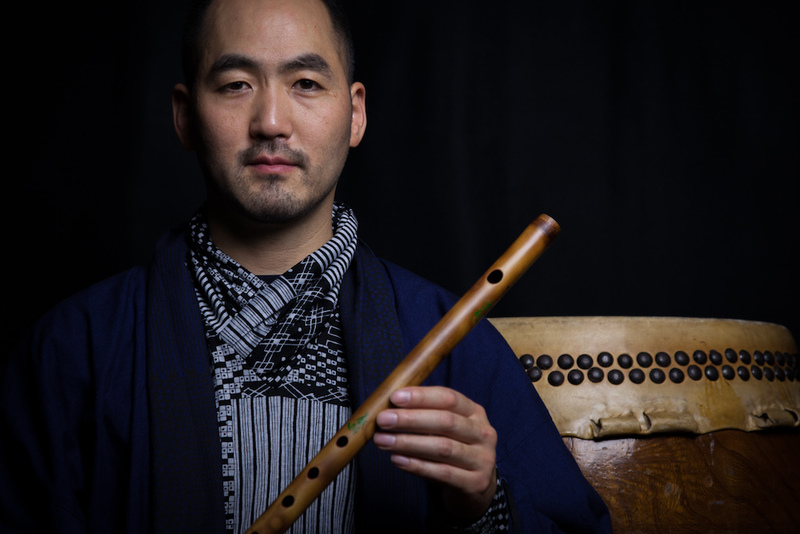 Watanabe joined as soloist on the side-blown Japanese flute, the shinobue, its sound more piercing than that of the shakuhachi, his music sliding deftly over lighter drumming patterns before the work reached a climax combining vocal, percussive and orchestral forces. Shinobu, later in the program – a work evolved from improvisations Watanabe hummed while cradling his newborn daughter to keep his musical chops in shape across hours of care – opened with sustained shinobue shimmering above hauntingly dissonant winds, before the music settled into a steady groove, the soloist riffing above the orchestra and producing a gritty, jazz-infused flute-and-voice sound. Excerpts from Benjamin Britten’s only full-length ballet, The Prince of the Pagodas, sandwiched Riley Lee and Ian Cleworth’s Cascading Waterfall at the centre of the program. Britten’s music – using the largest orchestral forces the composer employed – brought a sudden shift of colour to the concert in its use of pitched percussion (which would later be picked up in the jazzy marimba of Shinobu), inspired in part by the Balinese Gamelan, in The Arrival and Adventures of Belle Rose in the Kingdom of the Pagodas. Riley Lee’s shakuhachi – like the shinobue, sensitively amplified – was full-toned, Lee’s fluttering ornaments and shimmering vibrato hazy before taiko drummers built momentum in the undercurrent, the SSO’s strings sliding. The darker, more penetrating tone of Alexandre Oguey’s cor anglais was a highlight of the pas de deux The Prince and Belle Rose from Britten’s ballet. While the overall program felt fragmentary and slightly unbalanced in its wild extremes of dynamic, the premiere of Lachlan Skipworth’s Breath of Thunder, a work that lashed the orchestra with a series of rolling maelstroms, tied all the threads together. Skipworth’s music has long been infused with Japanese influences – he spent three years in Japan studying the shakuhachi – so this concert bringing together Taikoz, Lee and Watanabe made the composer’s SSO debut as fitting as it was dramatic. From light, rain-like sounds and atmospheric, muted horns to powerful orchestral tuttis, taiko drums crashing, Skipworth demonstrated a remarkable command of the huge forces at his disposal. There were moments of vivid orchestral painting – the sound of Lee’s breath seemed to splinter out across the orchestra, while a tranquil interlude had the ensemble glistening like droplets of water on leaves after rain – as well as climaxes of potent rhythmic force, disparate elements combining in a work of both exquisite delicacy and tremendous power.